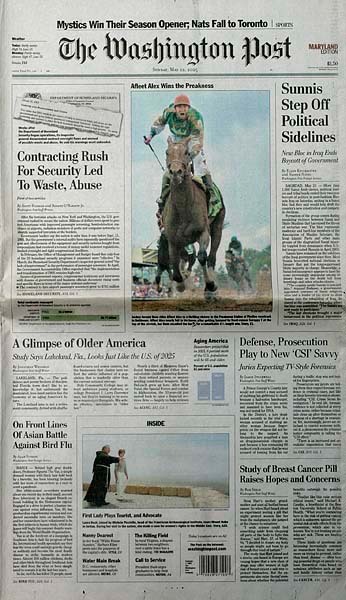 This was one of those days…… On the morning of the 2005 Preakness, I set up three cameras near the finish line and wired them all together. Having one camera left over, I decided to add a fourth camera, which was a different model from the others. 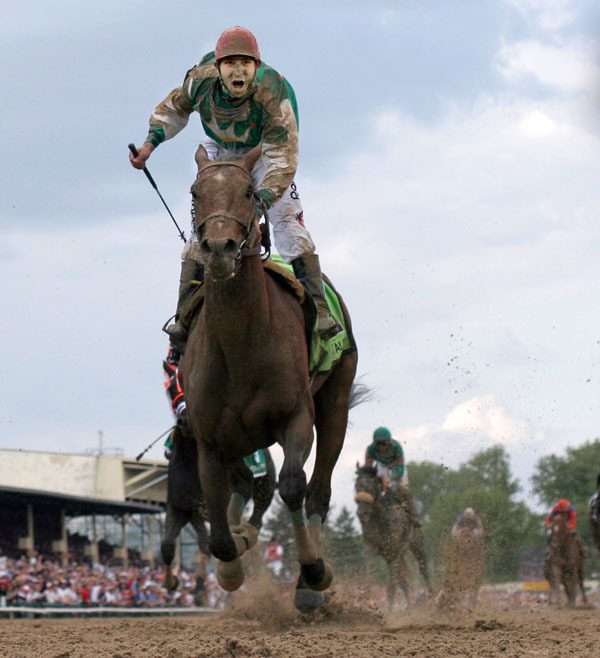 All of the cameras were wired together on one line so that when I pressed the shutter on the camera in my hand every camera would fire at the same time capturing the dramatic finish of the Triple Crown horse race. Moments before the start of the race I check all of the cameras and noticed that one had a low battery. I decided not to change the battery at this point, because every camera would begin firing, filling their memory cards the moment I removed the battery and shorted out the line. So I decided to chance itÃƒÂ¢Ã¢â€šÂ¬Ã‚Â¦. After the race I walked up to the first camera… and it was dead. I walked to the second camera and there were no imagesÃƒÂ¢Ã¢â€šÂ¬Ã‚Â¦. I almost had a heart attack. I walked to the third camera… no imagesÃƒÂ¢Ã¢â€šÂ¬Ã‚Â¦. My heart sank even deeper. Then I walked up to the fourth camera… the last camera I put it… and thank god… there were pictures, including the one above, which I found on the cover of the Washington Post the next day. Why did it work? The other three cameras were all of the same voltage and canceled each other out when the dead camera created a shot. The fourth camera was newer and was unaffected.